I'm usually really organised... meticulously organised.. but sometimes, I find myself with people arriving for dinner and I haven't even given dessert a second thought. Or they're coming over unannounced and I haven't got time to make anything elaborate. 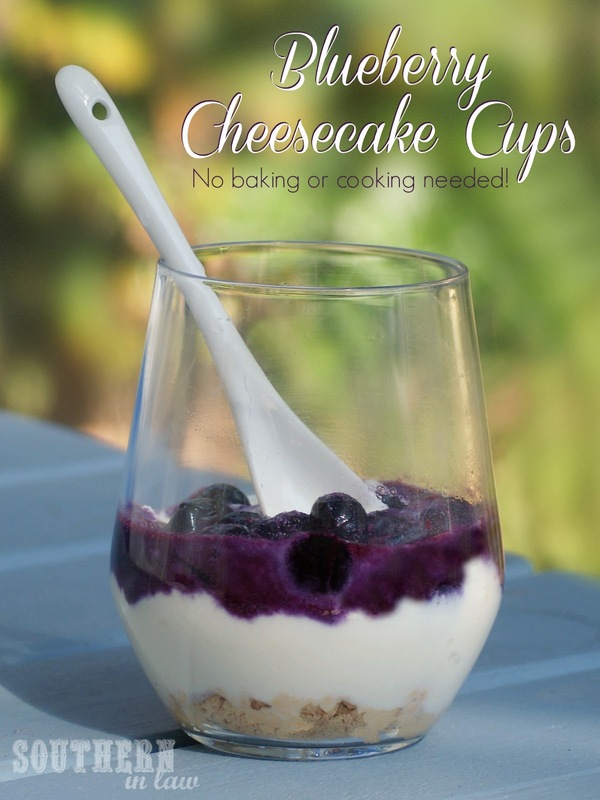 This is where these cheesecake cups come in - and they're also perfect for when you're in the mood for something sweet. You can make 1 or 100 - it's up to you! Choose whichever option you prefer. If using almond meal, mix the almond meal and honey and pour into your glasses. 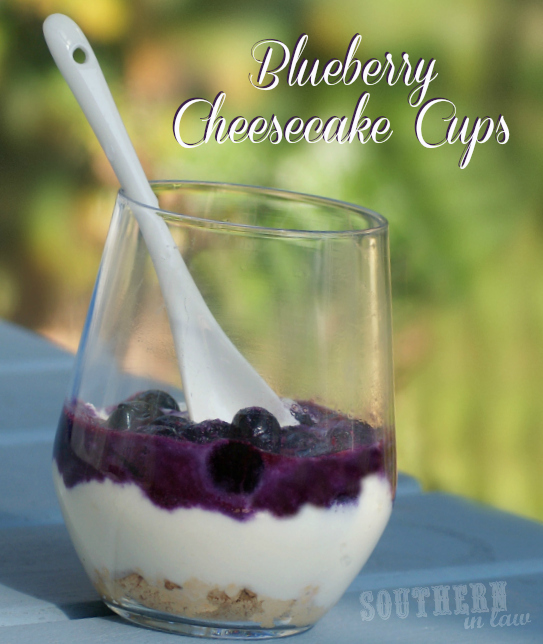 1 cup blueberries, fresh or frozen. Mix together your ricotta and honey and divide amongst your glasses. Microwave your blueberries for about 30 seconds or until they can be squished. Spoon on your blueberries over the top of your ricotta mix. Serve immediately or chill in the fridge until you're ready to serve! But tell me, what's your favourite quick dessert or meal? This is one of my favourite quick desserts - and my favourite quick meal is probably something like the Chicken and Bacon Rice Bowl which uses pre-cooked rice!